A perfect compliment to our elegant dinnerware. 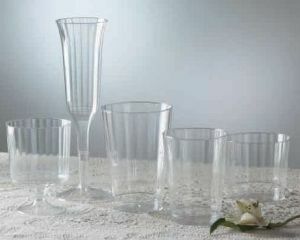 The Classic Crystal glasses are a top quality rigid disposable glass. The Elegant fluted design creates the impression and sparkle of fine cut crystal.